The new Suzuki Alto 2019, 660cc after most awaited was unveiled on Friday at the Pakistan Auto Show 2019 in Karachi. The Pak Suzuki is the first locally-manufactured car with Japanese technology and it comes with a 660cc R-series engine “8th Generation”, modern design, and spacious interior. Suzuki Alto VXL AGS (with AC and automatic transmission). It is expected to be launched in June. 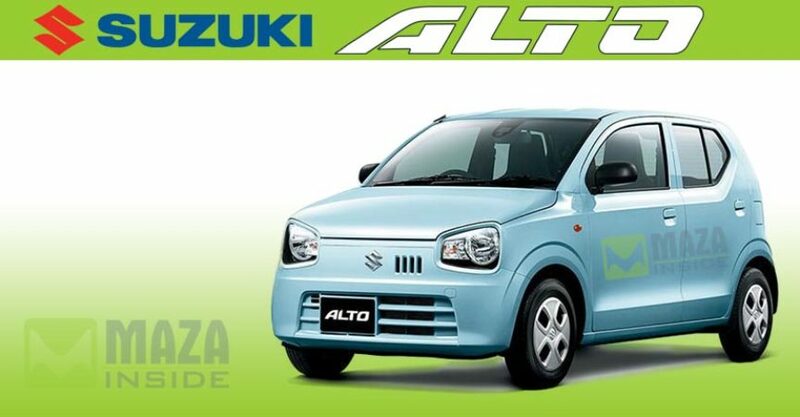 Currently, the company is receiving bookings for corporate clients initially for the newly launched Suzuki Alto 2019 at Rs.500,000 in favor of M/S Pak Suzuki Motor Company Ltd. and the company hasn’t announced its final price but it is expected to start at around Rs.950,000 to Rs.115,0000. Also Read: Hyundai Ioniq 2019 is Introduced in Pakistan, Price & Specifications. Suzuki Alto 2019 features a 660 cc engine which is the first time in Pakistan’s local automobile industry. The company is launched under both manual and automatic transmission. Pak Suzuki claims it is providing a fuel efficient and spacious car with modern design. The company is offering a three-year or 60,000km warranty. There is a priority delivery for first 3000 customers with an incentive of an introductory.